The following resources are for any individual seeking to improve understanding of and habits for health or hormonal balance for themselves. Healthier Hormones Online Course. This course has become a global community of (mostly) women (plus a few brave men–who are most welcome, by the way) who are dedicated to supporting their own health and sanity. Hormonal balance is a happy side effect. Whether you are new to Eastern medicine of any kind, or a health care practitioner or physician of any modality, this course serves to clarify what hormones are, how they affect us and how we affect them, and we can use this information to improve our lives and health. Foundations of Āyurveda Part I. This multi-media course is designed for someone who is seriously interested in embarking on an in-depth study of Āyurveda, to explore the foundational principles of Āyurveda. It is co-taught by Dr. Claudia Welch and Dr. Robert Svoboda. 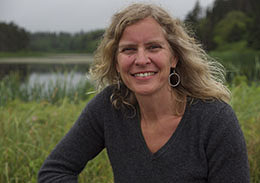 Balance Your Hormones, Balance Your Life: Achieving Optimal Health and Wellness through Ayurveda, Chinese Medicine, and Western Science by Dr. Claudia Welch. This book is designed to simplify the otherwise complicated subject of women’s hormones, distilling it into principles that are meaningfully applied to life. Practical tools are given to help a woman restore or invigorate her health and hormonal balance. 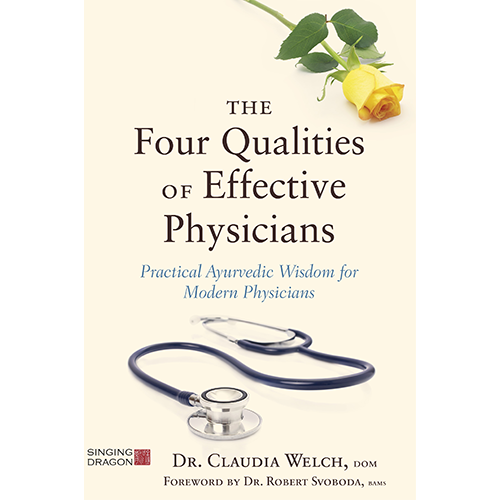 The Four Qualities of Effective Physicians: Practical Ayurvedic Wisdom for Modern Practitioners by Dr. Claudia Welch. While the obvious audience for this book is health care practitioners (of any modality), because it is in great measure about communication and relationships, it is applicable to anyone seeking to refine these skills and interactions. We all have the potential to have positive, negative or neutral effects on those around us, so we all have the potential to refine our ability to have a medicinal effect on our loved ones and environment. Prāṇa CD. The four tracks on this CD are guided visualizations designed to support cultivation and smooth, unobstructed flow of prāṇa (life force) in its practitioners, composed and narrated by Dr. Claudia Welch. Dinacaryā: Changing Lives Through Daily Living This mini eBook by Dr. Claudia Welch, serves to outline the daily routines prescribed in ancient Ayurveda, and enlivened with a modern perspective. Unique perspectives are offered, so even if you have been introduced to the concept and practice of dinacaryā, you may find this helpful. 4 Aims & Stages of Life This mini eBook by Dr. Claudia Welch outlines and explores the 4 aims and stages of life that are discussed in East Indian philosophies. Articles. This is a catalogue of explorations and reflections on a variety of topics related to Āyurveda, medicine, illness, health, suffering, love, oddities and life in general. Lectures & Conversations. 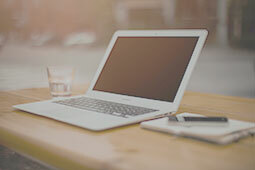 These are audio or video recordings of conversations on a variety of subjects including addiction, eating disorders, home “cleanses,” and hormonal health and balance. Recipes. Recipes for healthy living. 42 The Game, just for fun. If you like card games. Especially if you like complicated card games that involve bidding and taking tricks, even with only two players.